Stella attended the University of Nigeria Nsukka where she obtained a BA (Education) in English Language and Literature. She holds a Msc. in Human Resource Management and has been certified by both the University of Cambridge and the International TEFL Teacher Training institute as a teacher and trainer. Stella has over 10 years experience in the banking sector and has, at different times therein, occupied supervisory positions in customer care, internal control, marketing and HR. She has a love for people and a passion for knowledge. She is the principal consultant of LSDC and a member of SHRM (Society for Human Resource Management), CCI (Customer Care Institute), Toastmasters International and BPW (International Federation of Business and Professional Women). 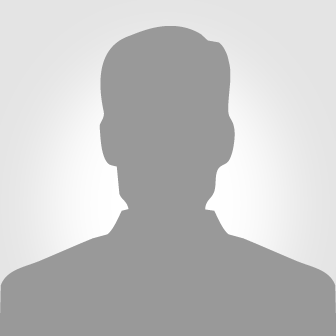 Mr. VAL EZE Mr. VAL EZE holds a Masters degree in Personnel Psychology. His over 20 years experience in HR started in in P.Z. Cussons Industries Plc and has transversed many organizations some of which are African Continental Bank Plc, AG Leventis Plc and Diamond Bank Plc . Val is a through-bred H/R practitioner having been involved in/ led various H/R assignments in the areas of Recruitment, Job Analysis, Manpower Audit & implementation, Succession Planning, Manpower Development & Training, Compensation Management, Industrial Relations, Leadership, Change Management, Customer Service and Pre-Retirement training. He has attended various Management Development programs locally and Overseas. Val Eze is a Fellow of the Chartered Institute of Personnel Management of Nigeria (CIPM) and a CMD Certified Trainer. JAGUN , IMOH (nee JAMES) Imoh attended the University of Uyo where she obtained a B.Sc. in Banking and Finance. She is an Associate Member of the Institute of Chartered Economist of Nigeria, Institute of Strategic Management and a Member of the Nigerian Institute of Management and Chartered Institute of Bankers. Imoh is a certified John Maxwell Trainer with over 13years experience in the banking sector and has, at different times as a banker, occupied supervisory positions in all units of operations, marketing and credit and branch management. She has a love for people, relationships, strategic learning and a passion for knowledge and excellent leadership. SEYI OSINKALU (Mrs.) Mrs. Seyi Osinkalu is a multi talented I.T. consultant, a seasoned teacher, trainer and public speaker who has successfully operated in the education sector in Africa and the United Kingdom (U.K.) in the past 13 years. She has consulted, and still consults, to governments and educational institutions rendering services in the area of training, curriculum design, HR (recruitment, payroll and employee/ staff relations & welfare), internal and administrative control (policies, procedures and compliance), teacher training (Love & Logic etc). Seyi loves to travel and meet people from other cultures. She is known to be disciplined and a woman of integrity. IFEATU ADEBOWALE Ifeatu is a graduate of English from the University of Jos, Plateau state and demonstrates a strong passion for knowledge sharing and learning. Her over 10 years experience in customer service, HR and project management spans such international organizations as Multichoice, Accelon and Interswitch. She was a pioneer staff in the customer retention unit in Multichoice and was instrumental in helping the organisation launch the DStv select bouquet options which caters to customers from the different purchase power cadres. In Accelon Nigeria, she headed the Enterprise business department and is presently the head the customer service department in Interswitch. 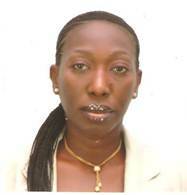 BABALOLA, BABAFUNMILOLA OLABIMPE Funmilola has a BA in English Studies from the University of Port Harcourt. She has been in the private education sector for 15 years with a proven expertise in using both the Nigerian and the British curricula and a work experience cutting across the Nursery, Primary and Secondary Schools. As an education consultant, she has helped to set up schools across Nigeria and is adept in organising refresher and in-service training programmes for academic staff to keep them abreast of international developments in the education industry. Funmi's excellent inter-personal, leadership and communication skills have enabled her rise to the zenith of her career in the industry as she has worked as a school administrator for several years, delivering training programmes in Corporate Culture and Excellent Customer Care delivery which happens to be her passion. She has undergone several trainings both locally and internationally and is a prolific writer and social critic of sorts. She maintains a blog at funmilola-thisandthat.blogspot.com. Funmilola is an alumnus of The Leadership Institute and a member of The Customer Care Institute, Atlanta, Georgia. ABARA, GEORGE (Reverend) George Abara, AMNIM, AMNIPR, MNIRA, AIPM, has over 25 years of progressively responsible experience in Human Resource Management, Manpower Resourcing, Management Consulting, Training, Research, Banking, and Broadcast Media experience across multi ethnic, multi cultural work environments. George holds the M.Sc. degree in Industrial Sociology from the University of Ibadan and has attended many training programmes including Mastering Competitive Strategy at the prestigious Lagos Business School. George has held senior and management positions in various organizations and served as Consultant to the United Nations Development Programme (UNDP) on Nigeria Economic Empowerment and Development Strategy (NEEDS). He has served as Lead Consultant on numerous projects. He was at one time Senior Consultant, Group Manager, Head of Human Resources in Standard Trust Bank, Group Head, HR and Admin of Minaj Media Group, General Manager, DBN Media Group, Human Resources Manager and Head, Learning and Development in Intercontinental Bank Plc. He facilitates for the Chartered Institute of Management of Nigeria (CIPM) and a host of other organizations. Mr. Deroju Bashorun Mr. Deroju Bashorun holds a Bachelors degree in Accounting from the University of Ilorin, a Master of Business Administration degree from the University of Lagos and a Masters in Financial Economics from the University of Abuja. His varied work experience spanning almost two decades covers audit, non-bank finance, business consulting (with a bias for MSMEs in Emerging Markets), Oil and Gas finance, banking operations management, mortgage, commercial, private, retail/consumer and Micro finance banking. 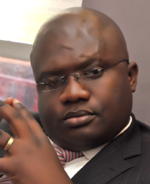 Deroju's banking career, which has seen him in various responsibilities and managerial positions in the customer service / banking operations, corporate, commercial and consumer banking functions, started with Liberty Bank (now under the Fidelity Bank PLC group), from where he went on to play a major part in Guaranty Trust Bank PLC’s expansion and in-road into the FCT/North Central Nigeria economic sphere. His last two appointments therein involved the development of branch networks and coordination of branch retail activities within cosmopolitan Abuja City and the very expansive and economically burgeoning surrounding area council (covering even to the University town of Gwagwalada). He sits on the board of various Nigerian companies with interests spanning agriculture, banking and wealth/asset management, real estate and infrastructural development, oil and gas, hospitality management, food processing and information technology.